Looking for Independent Holidays in Luxor…? Craving for that unique Egyptian holiday in Luxor? A chance to see the real Egypt, mix with locals and get really hands on with the history? We want to help you! We specialise in providing you, the discerning independent holiday maker, with your dream vacation, viewing the wonders of Ancient Egypt. Why not stay in the heart of Luxor’s historic sites like the Valley of Kings and the Temple of Karnak? Perhaps take in some guided tours of the ancient sites Luxor has to offer? Maybe you’ve never ridden on a camel but want to? Or you’d like to treat yourself to a private, relaxing day trip to see the awe-inspiring Giza pyramids? Or sail the majestic River Nile? Just ask us and we will be delighted to make it happen for you! Luxor, Egypt, is one of the most beautiful and historical holiday places in the world. Tourists have been coming here since ancient times to experience Egypt and the sights and wonders are just as interesting for the modern tourist as they were all those years ago. The good thing is you don’t have to have spent years studying the ancient history to appreciate it. Tombs, temples and museums, it is all there, still standing on the banks of the river Nile waiting to be explored by you. 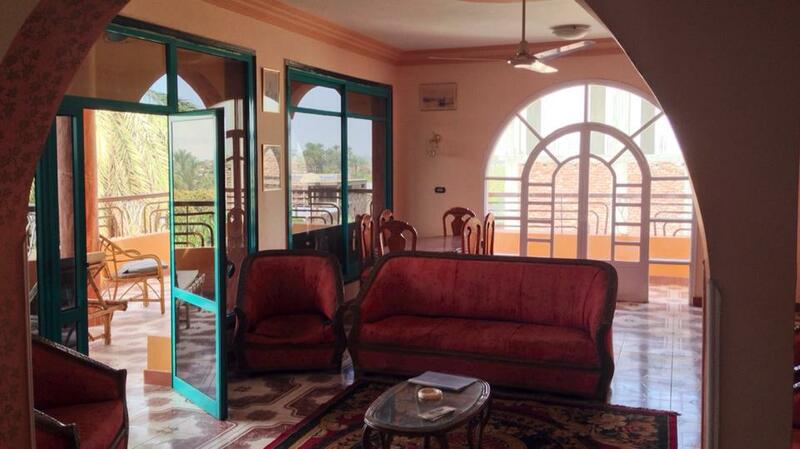 Flats in Luxor is run by Mahmoud Jahlan, (Jane has now retired). 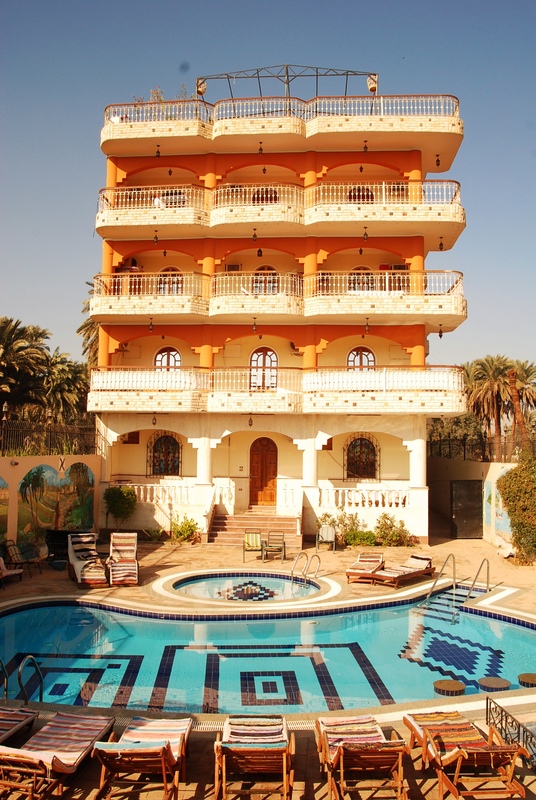 Since 2003 their mission has been to provide relaxing holidays in Luxor in affordable, Western standard, self catering accommodation – perfect for the discerning, independent, tourist. 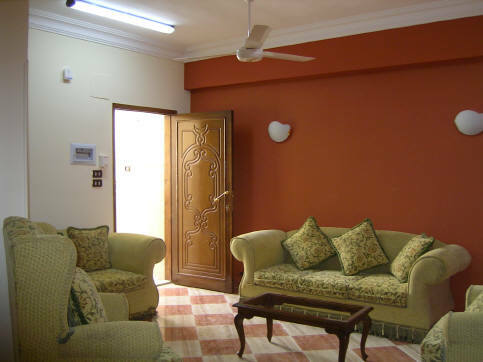 Want the freedom of a self catering apartment in Luxor, giving you family friendly accommodation, independence, flexibility and a real feel for the country. 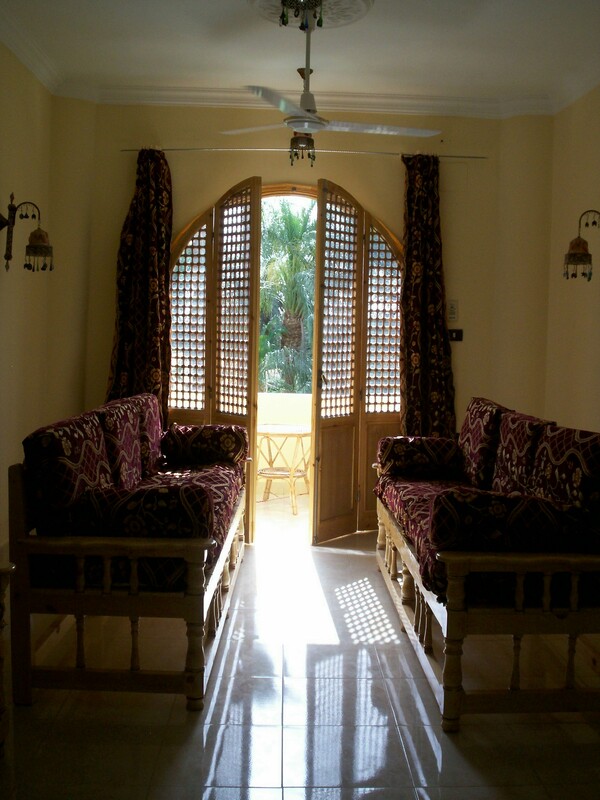 Try our flats and villas in Luxor. Jane and Mahmoud originally began with one block of flats on the West Bank and now they are Luxor’s premier source for accommodation West or East Bank and independent tours. 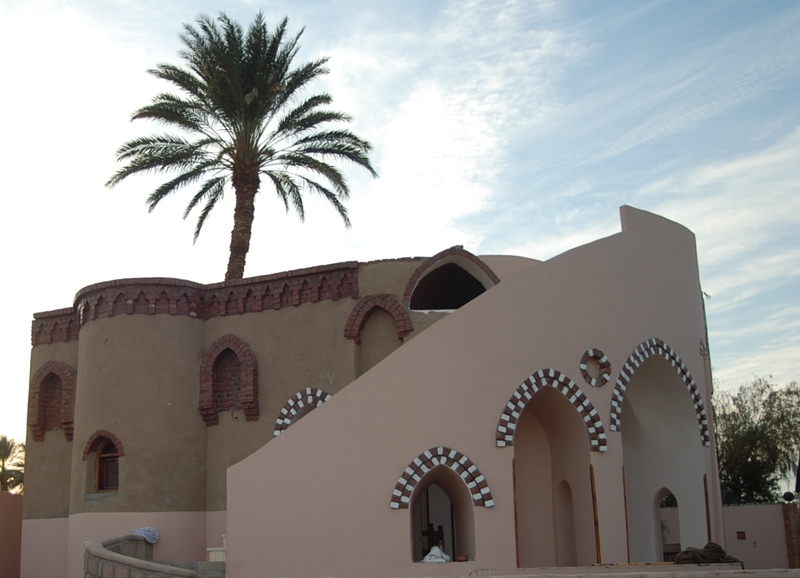 The first block of flats in Luxor, are situated on the West Bank, Luxor on the edge of Al Gezera village. Definitely the luxury end of the flat rental market with its own swimming pool and jacuzzi. Over time with increasing numbers of guests and requests for different locations and sizes we have been added to our portfolio. 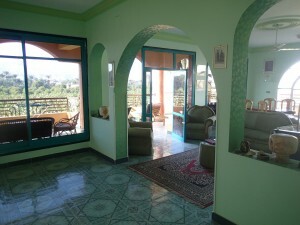 One bedroom to four bedroom, East or West, Flat or Villa. Whatever you want, Jane and Mahmoud will provide. They will do as much or as little as you want them to do. They can organise every aspect of your stay right from airport/station meet and greet service. Self catering doesn’t mean you have to cook, take advantage of our in-house chef. Check us out whilst we prefer you to book direct we are also listed on Trip Advisor and have independent reviews there. Would you like more individual guided tours of Luxor and Cairo with a chance to contribute directly to the Egyptian local community.? Tours of Luxor can be provided for both our own guests and those staying in hotels outside. We will provide excellent guides and drivers who will take you away from the crowds to hidden sites and unvisited tombs. As we are part of the local economy you know you are contributing directly. The people we utilise are reliable, knowledgeable locals who have been working in the tourist market for many years. 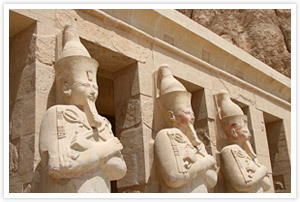 These tours can range from a taxi for a day to guided tours of Luxor. Desert trips, Cairo tours or a simple camel ride. Our most popular tour is the Quiet Tour, where we endeavour to show you 3 sites where you will be the only tourist. Want to make a booking? Just go to the availability page to check for our current vacancies and make a booking. We look forward to welcoming you to for your relaxing holiday in Luxor and, of course, bringing Ancient Egypt to life. Flats in Luxor are recommended by Trip Advisor, the Lonely Planet and Rough Guide for their consistently high-standard holidays in Luxor. Flat is a very British word which denotes an apartment of varying size in a block, Americans also call it a condominium.